Ralph Waldo Emerson is famously credited with describing a weed as "a plant whose virtues have not yet been discovered." Although the virtues of the sunflower are widely recognized, the attractive plant is also still considered a weed in some contexts. Sunflowers spread easily, even where they're not welcome. The common sunflower (Helianthus annuus) is a sturdy annual that's native to prairies and meadows in the western United States, Canada and Mexico. It sends up thick branching stems that can reach a height of between 5 and 10 feet. Its triangular or heart-shaped leaves are hairy and coarsely textured, and they can grow up to a foot long. 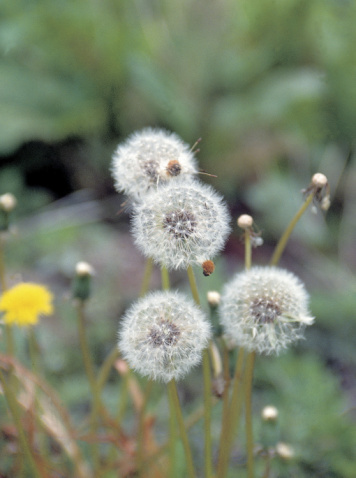 The plant produces flower discs consisting of a circular cluster of brown flowers in the center surrounded by a ring of yellow or yellow-orange ray flowers around the edge of the disc. Each one of the brown flowers in the sunflower's central flower disc produces a hard-shelled, oil-rich seed that's a favorite food of birds and other wildlife. Because they attract animals so effectively, the seeds are readily disbursed, and they overwinter well in the soil. When left undisturbed, seeds will sprout in the spring into fast-growing plants, and the life cycle will continue through another season. The common sunflower's tolerance of heat and cold, drought and poor soils means few locations exist where it won't flourish. When you grow sunflowers, it's common to find stray seedlings popping up in the spring well away from the place you intended for them to stay. Common sunflowers often grow wild along roadsides and fence lines and in other untended areas. Its association with the native prairie landscape has led Kansas to adopt the common sunflower as its state flower, but when the prolific plant shows up where it's not wanted, such as in farm fields and residential gardens, it's considered a weed. So although the sunflower is revered in Kansas, it's defined as an undesirable species in many states and in parts of Canada, and in Iowa it's listed as a noxious weed, an official designation of its nuisance status. 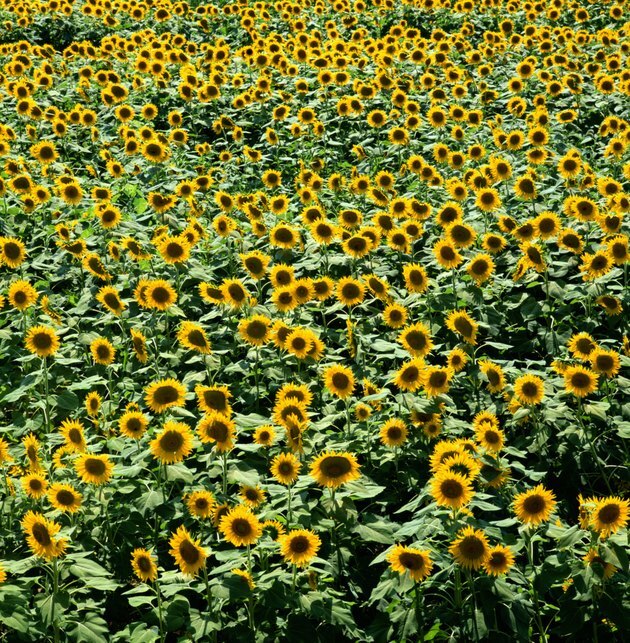 It's not too difficult to control the spread of unwanted sunflowers in a home garden. Compared to many other types of weeds, sunflowers don't produce huge numbers of seeds, and seedlings tend to be widespread, large and easy to spot and pull up. The plants are deeply rooted, though, so get to them early before they're established and difficult to remove.